After a 2 year hiatus, BigBang's mankae is back! Personally I'm not a huge BigBang fan . . . but I also don't hate them. 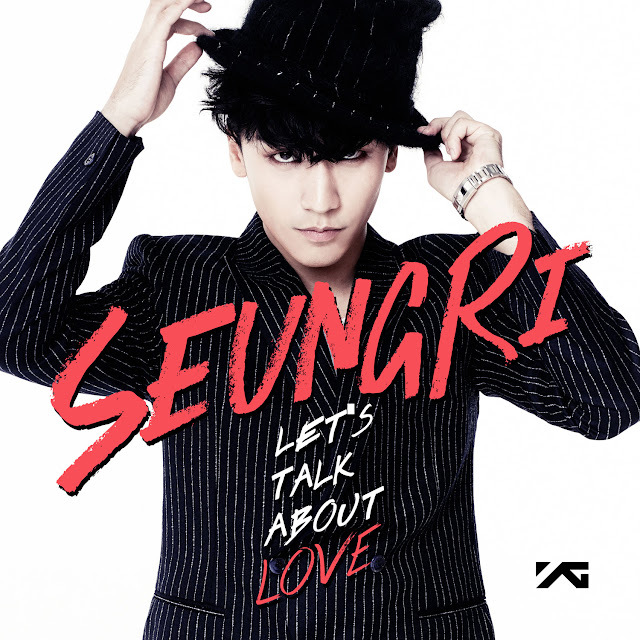 That being said, I do really like the few solo songs I've heard from Seungri. So here are my thoughts on his latest and first full album. "Let's Talk About Love (feat. G-Dragon and Taeyang)"
will NOT become a personal favorite from this album. makes it extremely difficult to give this song 1 star. they decided to incorporate into their lyrics. but thoroughly enjoy other portions just fine. This was more like what I was expecting to hear from Seungri. (unlike that monstrosity from "Lets Talk About Love"). with the electrobeats that are laced through-out the entirety of the song. This is also the track that was chosen to be represented as a MV. wicked techno section after the song technically ends. which happens to be a remix. Right away I was drawn to the piano/percussion intro. It has such an uplifting vibe to it, that I can't help but love it. Same with the verse, I can't help be drawn to it. boy was I unprepared for this. It's probably even more repetitive than "Lets Talk About Love" 's chorus. Though, strangely, "GG Be" doesn't grind my audio receptors the wrong way. are what makes it or breaks it for me during a repetitive chorus. (who knows she may even be a solo artist). It just fades out, no solid end to the song. The chorus just repeats while they fade everything out. but this isn't enough of an impact to take away from my over all scoring. "그 딴 거 없어 (Come to My)"
one of the "slow" songs in this mini album. but it's quickly over and you get right to the heart of this song. playing behind through out the entire song. "hip-hop" vibe it would otherwise have. (even if you cant speak Korean). this whole song is very easy to sing along with. particularly if you enjoy more songs with a quicker tempo. considering there are many synthetic beats intermixed with the percussion. And the chorus is . . . again extremely catchy and easy to sing along with. (I see a pattern has started developing with Seungri and his chorus' through out this mini album). "You Hoooo!!!" is probably my favorite track off this whole album. and it turns out to be another "slow" feeling song. and it's yet again fairly easy to sing along with. is more fit for a sleep playlist than anything else. Seungri's voice just carries a particular calm while singing this track. that's something you won't hear from any other songs on this album. so I cannot give you my thoughts on the remix.